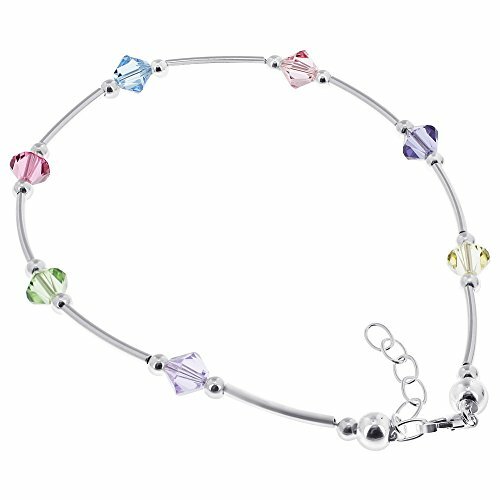 This gorgeous anklet is made with glimmering multicolored (light amethyst, peridot, rose, light sapphire, light peach, tanzanite, and jonquil colors) Swarovski Elements Crystal with 925 sterling silver tube and bead accents. This anklet is adjustable from 9 - 10 inches and features a lobster claw clasp making it easy and comfortable to fit. The anklet will be shipped in a gift box, perfect for surprising that special someone.